So, I guess this is a thing. 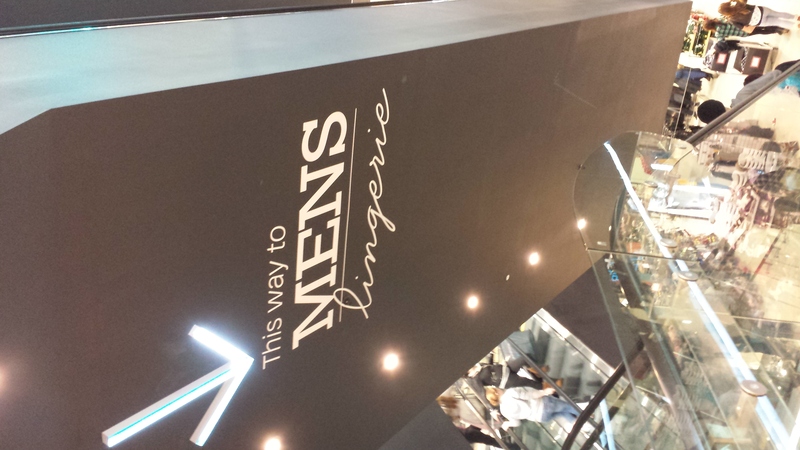 Has everyone else been wearing mens lingerie and they just haven’t told me? Are there underground mens lingerie clubs where people strut around in their hosiery and take photos on selfie sticks? Has my imagination ran away and hid under the stairs because such a thing cannot possibly exist, or has the world lovingly embraced dudes in delicate pants? 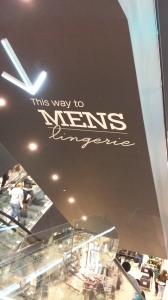 I have been a wearer of men’s lingerie for a long time – not every day, you understand, but on special occasions. Indeed, there is a picture of me in lingerie elsewhere on the Beans. You’ve been wearing it since 2009? You’ve got your finger right on the fashions! I’m jel/env. My finger is welded to the fashions. It won’t come off. I’m hot to trot. This is one of my comments of the year. The rest of it can be forgotten. An award will follow in due course. I’ll clear a space on my mantelpiece and await glory. Are you happy if it’s less metally and more cardboard tubey? The main issue I’m facing is that I don’t have a mantelpiece, so to be honest that’s a secondary issue for me right now. But the real question is what’s the tertiary question? Or issue. I want to know what the tertiary issue is. The tertiary issue is that nobody knows what the tertiary question is.